TC2000 (TeleChart) - by Worden Brothers, Inc. 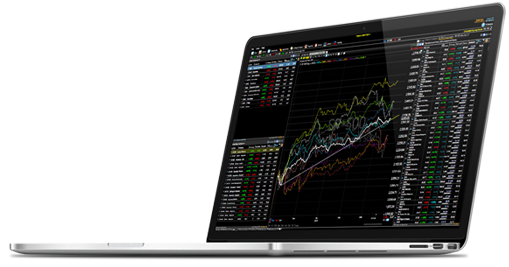 Award-winning software to scan, chart and trade stocks & options. Best in class... super fast visual scanning... best stock scanner... period. Robust with rich graphics and powerful tools ... an easy to use interface. I couldn't imagine trading without it. They’ve been my choice of scanner for years now... must-have trading software. TC2000 has gorgeous, dynamic charts... my primary charting platform. Wonderful features. Used it in college, using it now... top of the line charting. TC for life. TC gives best charts, awesome scans, easiest to handle. I use TC2000 and IBD to track stocks. Great way to organize your stocks... been using for 12 years... at $30/mo. it's a steal. Scanning is fast... great balance between simplicity of use, and control. TC2000's famous 2-second scanning helps you find stocks that meet your investing style & risk tolerance. Screen from technical indicators, Morningstar fundamental criteria and hundreds of built-in watchlists. Become a better trader by jotting notes and flagging stocks. TC2000 remembers the charts you were viewing and organizes your notes in a watchlist. Thousands of active traders track their trading activity in TC2000 every day. This is what separates you from the herd. TC2000's exclusive smart scaling makes it easy to visually compare trend strength & swing sizes between stocks. Open an account at the affiliated TC2000 Brokerage for a fully integrated experience. Trade options for 65 cents per contract plus $2.95 base. You can place orders & track positions on your charts and in your watchlists. It's convenient and keeps your research and trading organized in one place. Options offer many strategies that can be combined with your stocks for the purpose of hedging, creating income or speculating on volatility. TC2000 includes 25 built-in strategies that can be overlaid on a chart to show maximum gain or loss at every stock price. It's a great tool to learn the strategies and get comfortable before using them with real money. All the trading features in TC2000 can be used with play money. Set up as many practice accounts as you'd like (they are free). We always recommend becoming comfortable with everything in the simulated environment before risking real money. 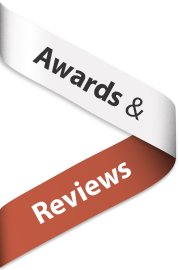 See what critics and users have to say about the TC2000 software.